E-Trac: finds silver, gold, relics and more! Enjoy the power of the E-Trac! 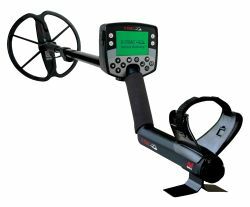 Minelab's most technologically advanced detector sets a new benchmark for the industry! E-Trac with optional Spanish manual same price as English version. Just be sure to notify us when ordering the Spanish manual version. E-Trac is Minelab's most technologically advanced detector, incorporating unique Full Band Spectrum (FBS) Technology. Its sleek, sturdy design, innovative control panel, intuitive menus, clear LCD, robust lightweight coil and comprehensive targeting options set E-Trac apart from any other detector available today. Minelab has taken a further ground breaking step by incorporating a USB interface, which will allow you to download and upload E-Trac settings, User Modes and Discrimination Patterns using your own Personal Computer (PC). E-Trac will locate valuable metal objects in a variety of mineralised ground conditions such as extremely salty soils, sea water, wet beach sand and highly magnetic ground conditions. 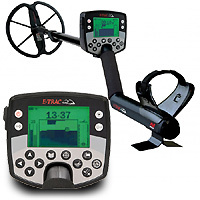 By using the E-Trac you can become one of the many successful detectorists who combine their passion for the outdoors with the excitement of discovering valuable coins, relics, gold and jewelry on a regular basis. ¡Atención! Catalogado por Minelab como uno de sus mejores productos, el detector de metales de alto rendimiento E-Trac está ahora disponible en una versión en español! Así es, Minelab acaba de introducir el E-Trac en español! Viene con un manual en español, control táctil en español y una pantalla identificadora de objetivos en español! Nuestro precio es el mismo precio de descuento que el modelo de los EE.UU. : $ 1,498.95 enviamos a cualquier lugar ubicado por debajo de los Estados Unidos continentales. AK y HI favor de ponerse en contacto con nosotros para los gastos de envío. E-Trac delivers Full Band Spectrum (FBS) with Simultaneous Frequencies ranging from 1.5kHz - 100kHz through its powerful microprocessor. The frequency range means that the signal received from the detector coil is analyzed from a wide range of responses. This allows E-Trac's advanced signal processing to rate detected objects according to their ferrous and conductivity (FE-CO) characteristics and analyse more target information so that the target identification (ID) is more accurate. E-Trac Xchange allows you to download and upload detector settings and Discrimination Patterns via USB to your Personal Computer. This advanced feature is designed to allow you to quickly configure the E-Trac to particular detecting environments and preferred targets. You can always share your experiences and settings with other detectorists. The installation CD and Xchange User Guide supplied with your E-Trac ensure you can get started straight away. You can build a resource library charting your success with your E-Trac. Download and store your valuable Settings, User Modes and Patterns for your favourite sites and upload them as required. There's no limit to the number you can store on your PC so make the most of your E-Trac and never worry about losing your successful settings again! E-Trac Xchange : USB functionality - create, download and upload your E-Trac Settings and Discrimination Patterns for your favorite sites; save to your PC or XChange them with others by email. 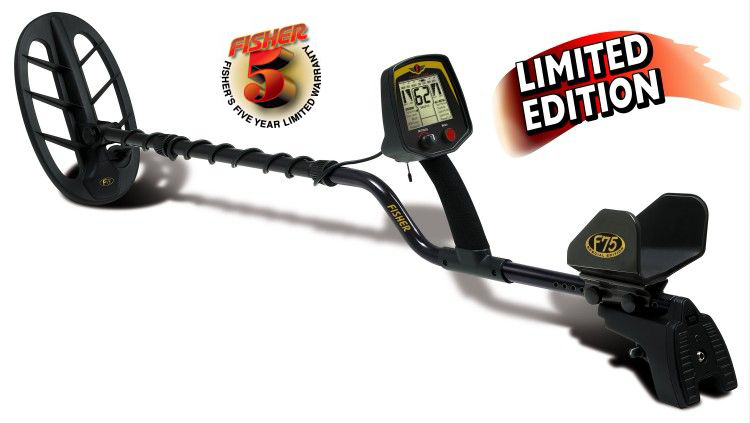 Ultra-lightweight : waterproof 11" Double D Waterproof Coil, versatile with sharp, accurate pinpointing and depth! 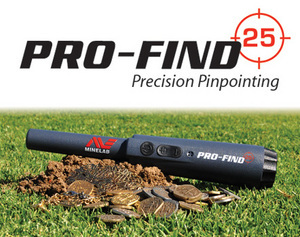 Smartfind™ : offers Minelab's proven unique discrimination and dual coordinate target profiling. Four preprogrammed : Minelab User Modes with specific Settings and Patterns suited to Coins; High Trash; Beach and Relics. Four User Mode slots : personalize your Modes to suit your specific detecting target preferences and environment. Ground Setting : options of Neutral and Difficult adapt easily to benign or the most challenging operating conditions with these settings. Trash Density : High ensures you experience fewer false signals in high trash environments, Low is perfect for cleaner sites. User-centered : Keypad and Menu Interface Design - enhanced usability with intuitive icons and logical menu sequences that are fast and so easy to use! Ergonomic : perfectly balanced Handle Assembly ensures longer periods of detecting without fatigue! Additional : Expert Features and Preferences allow you to customize your E-Trac to suit your needs. Optional accessories: Be sure to check out our RNB Innovations long lasting ML-3100 mAh Battery Pack & Home 2hr Li-ion Smart Charger located our ACCESSORIES page in the Meters/Electronics listing! *Free Shipping Limited To Continental United States,(Alaska and Hawaii excluded)! Shipping carrier and method selected by Dixie Metal Detectors. Please contact us for other shipping options and cost.